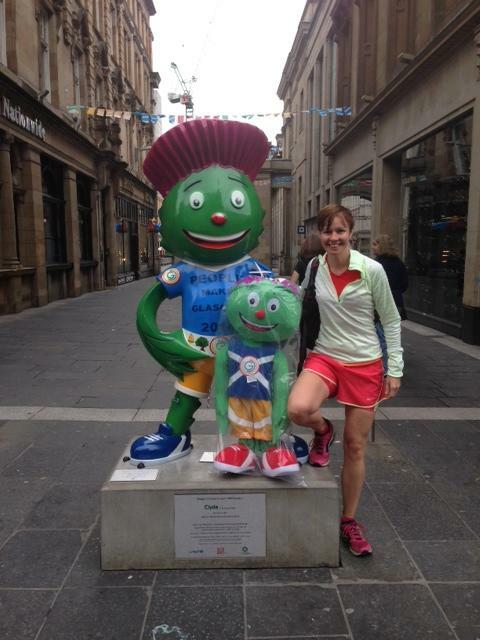 Last day of the CWG! 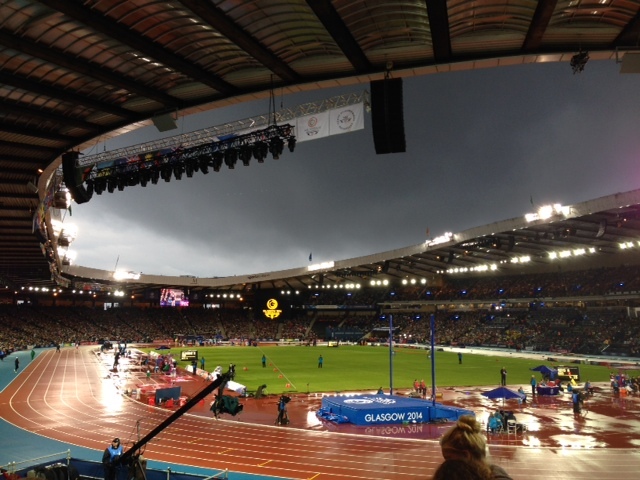 Last night at the Athletics was great. 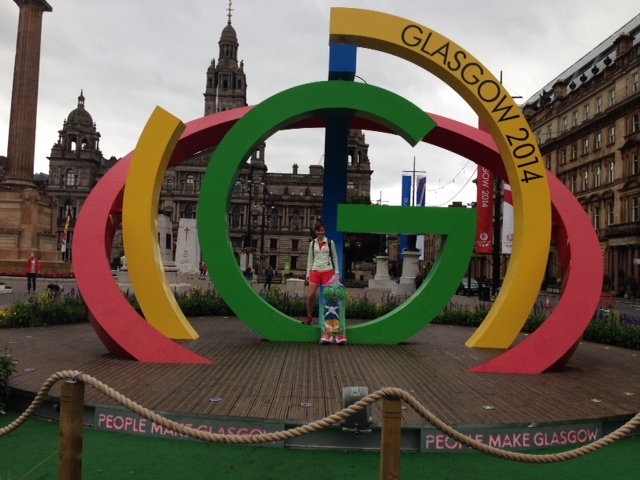 It was a bit wet for the athletes but we had a great time. 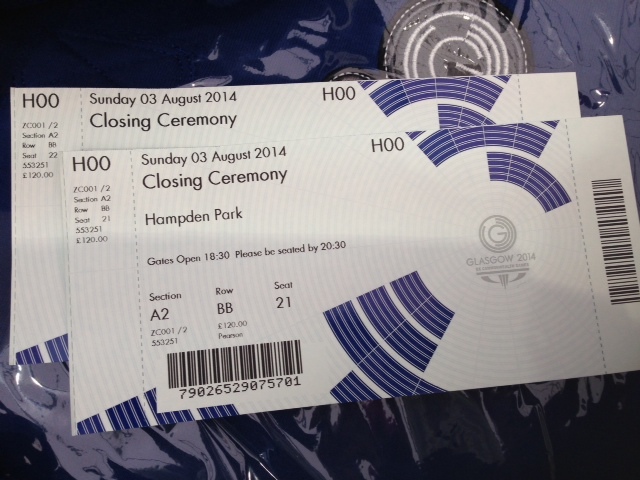 Today we ran into town and picked up our closing ceremony tickets. Section A, row BB, seats 21 and 22. I think it’s right at the front looking down the home straight maybe! Eeeek! I think it might be raining again, but today when we went into town it wasn’t. 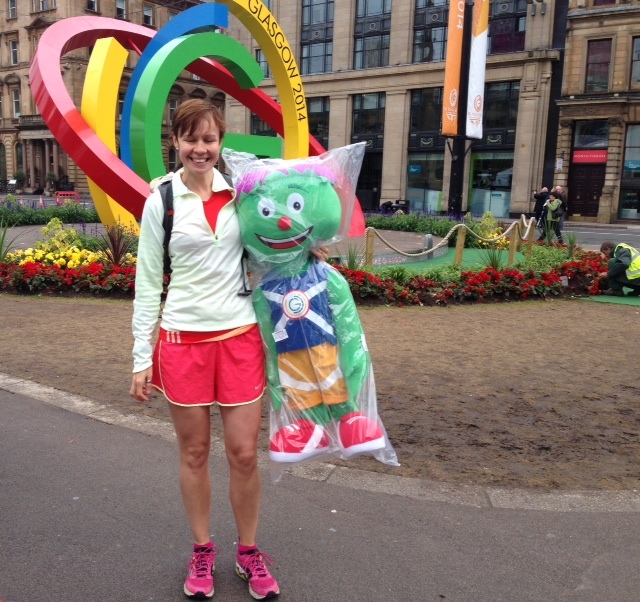 We picked up a rather big little friend – big Clyde! I’ll post some pics and videos of last night soon. It was a great atmosphere and well organised.